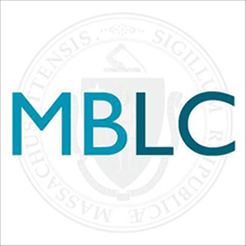 The MBLC is now accepting applications for this year’s Town-Wide Preservation Assessment grant round. It’s an opportunity for Massachusetts libraries to work with a consultant to help them assess, organize, and ultimately digitize their historic and archival collections in the Digital Commonwealth. Right now, there’s over 440,000 items from 130 participating institutions in this statewide digital repository. It’s a great tool for educators, historians, researchers, students, artists, authors – anybody with an interest in exploring the past through ultra-high resolution photographs, maps, letters, books, paintings, postcards, and more. With so much content, there’s some bizarre and unexpected stuff tucked in as well. Below are five highlights from four of the most unique collections in the Digital Commonwealth. 1. Birdwing butterflies from the Solomon Islands, part of the Harry C. Belcher Lepidoptera Collection at Tufts Library in Weymouth. 2. Pheasant sculptures from the Castonguay Carved Bird Collection at West Yarmouth Library. 3. Food pouches from the Natick Soldier Systems Center Photographic Collection. 5. Robot (ca. 1991) at the Natick Soldier Research, Development & Engineering Center. Also from the Natick Soldier Systems Center Photographic Collection.